Do you feel other people or businesses selling the same products and services as you are giving you a hard time? Frankly, do you often pray that they’ll stumble and crumble someday, and leave you alone to have all the customers and make all the money in the world? The truth is, in today’s free markets — where people can buy from anybody they choose — it’s up to you to give customers a reason to buy from you, and not from your competition. My advice: Don’t wish your competition were dead. Wish your business were better. The rule of the game is simple: compete or die! Actually, competition is good for business. It makes you work and think harder, smarter and better – which is a good thing, unless you’re a lazy person. Competition is also good for customers. It makes them feel more powerful, wanted and appreciated. Competition is the reason we have all the snazzy adverts on billboards, television, radio and social media vying for our attention. Every business wants to do its best to make sure they’re more noticed than their competition. But what if you’re just a small business and you can’t afford all the expensive advertising and celebrity endorsements? What if the competition in your market is choking your business and you’re starting to think it may be impossible to survive? In this article, I’ll be exploring 6 powerful ways you can become more memorable to your customers so they’ll always think of you, and not your competition, whenever it’s time to buy. Most of the strategies you’re about to learn don’t cost anything. But applying them in your business could yield great results, and may make the difference between survival and death. There are usually two powerful forces in the mind of every customer. Both forces are constantly engaged in a battle of supremacy to influence the customer’s decision to buy from you, or somebody else. Those two powerful forces are: logic and emotion. In fact, all the top successful brands and businesses in the world today understand how these forces work and have mastered the art of using them to attract and influence more customers. You’ve seen a CocaCola advert before, right? If you watch television, chances are you’ve seen one before. 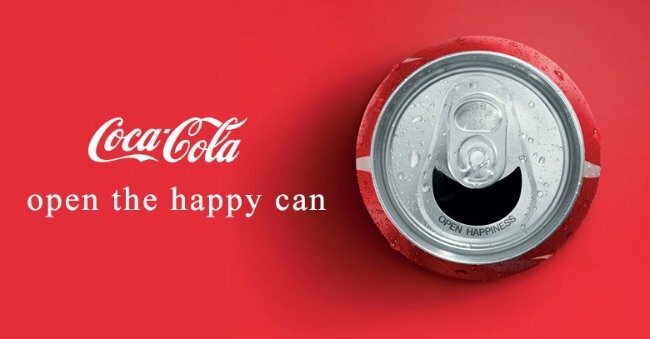 Do you notice how CocaCola always advertises and sells its product based on emotions? Its adverts always reflect strong emotional themes like heroism, youthfulness, love, friendship, satisfaction, happiness and so on. You know why? Well, if CocaCola sold its products based on logic, nobody would buy. And that’s the truth. What’s in a bottle of Coke anyway? Sugar, water and some other stuff that are probably not very healthy. So, logically, it doesn’t make sense to buy something that’s probably not healthy for you. But guess what? Millions of people around the world still buy and drink Coke every day. That’s the power of emotion! Logic is also as powerful as emotion when it’s used in the right situations. If a product or service will save money, time and worry, or solve a serious problem for the customer, logic is usually the best way to sell it. Why am I telling you all this? What has this got to do with this article? Well, all the strategies I’m going to share with you depend a lot on these two powerful forces. Understanding the way these forces influence customer decisions, and knowing when to apply them, could give your business an edge over the competition. Whatever you’re selling, make sure it’s the best quality for the price you’re asking. This is a fundamental and unquestionable rule. The reality is, if you sell low-quality stuff, customers will still buy from you. But they’ll only buy from you once, or maybe twice. After that, they’ll avoid you like a disease – and worse still, they’ll tell their friends to avoid you too. Of course there are customers who don’t really care about quality; they just want the cheap stuff. These are not the kind of customers you want. They’re only loyal until someone else is cheaper. But if you sell good quality stuff on a consistent basis, you’ll build a great reputation. Your customers will stay loyal and happily recommend you to their friends and anybody else who cares to listen. Due to porous borders, weak government regulations and poor compliance, several products on the African market are notorious for being sub-standard and low quality. It’s almost the norm these days that some products don’t work as they promise to. The key to attracting more customers using this strategy is to be consistent. Don’t sell good quality products and services sometimes. Sell them every time! Be known for quality and customers will reward you handsomely. Sadly, poor customer service is still a very big issue in Africa. Many businesses on the continent, both big and small, suffer from it. In addition to personal encounters, I’ve also heard several horror stories about atrocious customer service experiences from across the continent. In my opinion, poor customer service is usually a sign of arrogance, ignorance or stupidity on the part of the business. Hello! The customer is the reason you’re in business. If they don’t feel respected and appreciated, they’ll take their money somewhere else. It’s their money, remember? The thing you should never forget is this: as long as your quality is right and your prices are fair, customers usually return where they feel welcome, valued, respected and appreciated. Why? Because people buy from people they like. It’s an emotional thing. If I like and trust you, I’ll be more open to doing business with you. And you don’t have to be a major corporation to provide great customer service. If you’re a small business, a few basic and inexpensive changes will help. First, always have a smile on your face; be warm, open and welcoming. It won’t cost you anything. Second, get personal with your customers; but not too personal. Care. Ask about work, family and life in general. Be genuinely interested in them. Third, and most important: listen. Even when they have a complaint, listen well. Don’t blame, criticize or justify. Remember, it’s the customer’s right to talk. Yours is to make sure you keep them happy and make that sale! 3) Sell convenience. It’s a powerful trigger! Theo is the guy who supplies cooking gas to my home. He’s been doing this for nearly two years now and I haven’t had to drive to a gas station for a refill in all this time. Why have I remained a loyal customer to him? It’s simple. Whenever I run out of gas, I make one phone call to him and in less than 30 minutes, he’s refilled my cylinder! I get this service at no extra cost, no hassle, stress-free and easy! I’m sure he does this too for all his other customers because I’ve noticed business has been really good for him. These days, he shows up with a small delivery van which I believe he just bought. So, business must be doing well. In a crowded gas market where most retailers expect customers to show up at their booths with cylinders, Theo has cornered the market by showing up at the customers’ houses. Is this a strategy you can apply to your business? How can you provide more convenience to customers? Home delivery? Free installation? Flexible payments? Proximity to the customer? Remember, convenience is a very powerful trigger. Use it to your advantage against the competition! For some customers, time is of utmost importance. This kind of customer doesn’t like to wait. She wants the product or service now. Right now! Speed is one of the most interesting ways to outdo your competition. Big companies can be very slow. Some small businesses are often lazy. But if you can provide the same service in less time, there’ll be customers who will be specifically interested in you. Today, we live in the age of the internet. Everything moves fast and customers are becoming increasingly impatient with standing in queues and waiting for an order that takes forever to fulfill. If you can deliver quicker than your competition, then you’ve carved a niche for yourself. 5) Increase the benefits of buying from you. It’s not uncommon these days to buy products that break down in a few weeks and don’t last as long as promised. What happens if your product or service doesn’t work, last or perform as promised? Does the customer suffer? Can they return it? If the customer is not satisfied, will you refund them, replace the product or redo the work? What if the customer needs help with your product after she buys from you? Are they on their own or are you going to help? Will you support them? Low risk always comes with comfort. And customers love comfort, especially when they know that buying from you reduces the risk on their shoulders. How can you reduce the risk of buying from you? Reliable after-sales support? A 1-year warranty? A money-back guarantee? Find a way to reduce the risk on your sales, and you’ll steal quite some customers from the competition. When customers know they can always count on you, even after the sale is complete, you’ll be building a relationship that goes beyond a single transaction. You’ll surely be on their mind when it’s time to buy again. Ever heard the saying: perception is reality? If customers perceive your business, product or service to be superior to the competition, they’ll spend their money on you. And ‘packaging’ is an effective way to influence perception. By ‘packaging’, I mean all the things that come together to paint a picture of your business in the mind of customers. How different your products look, feel and perform; what people are saying about your products or services; how professional your workers are, and other stuff like that are some things that really matter. If your products are certified, have won awards, or have been mentioned in the media, flaunt these things. If you’re a member of a respected organization or association that’s relevant to your business, showcase it. Have you ever wondered why some businesses endorse celebrities to represent their brand? By associating a popular face to a product or service, those businesses increase their presence and perception in the eyes of customers. And more (positive) perception is always good for business! The most powerful way to use these 6 strategies is to combine them. That way, their strengths reinforce one another and give you a better competitive advantage. You can build a reputation for good quality, fast delivery and excellent customer service. Customers could love you for your bargain prices and the convenience you provide. Above all, always remember that customers are very powerful. They can crumble or build your business. It all depends on the way you serve them. Also remember that while they’re powerful, customers are highly vulnerable to logic and emotion. Understanding the power of these forces and knowing how to use them for mutual benefit will help to grow your business and keep your customers coming back. Now, go out there and apply what you’ve learned!